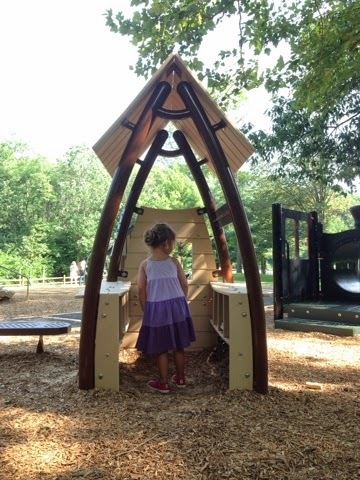 It's been a few years since our Playground Tour and while we still spend plenty of time at the playground, we mostly visit the same few favorite spots. I had kinda of forgotten the excitement of checking out a brand new playground until a brand new playground opened just a few miles from home. 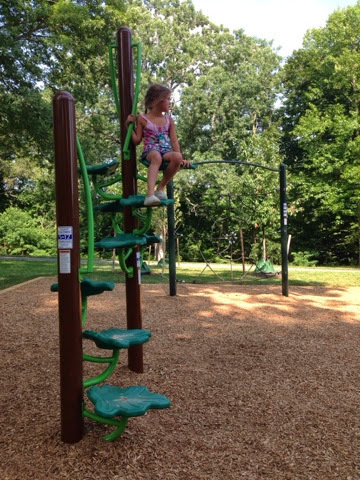 The Acorn Hill playground opened in June at Robert E Lee park and we finally had a chance to check it out. The girls gave it an imediate two thumbs up. 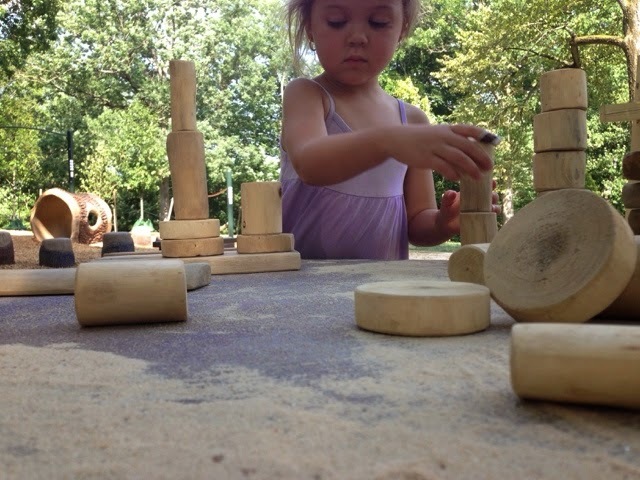 The playground has a great sand pit, cool climbing equipment, little structures to play in, swings and the coolest wooden blocks we may have ever seen. To get to the playground you take the Falls Road entrance to Robert E Lee Park (first right after Pepe's Pizza if you are headed north on Falls) and follow the main driveway down to the Robert E Lee main parking lot. After parking you follow the driveway back to the bridge that crosses the dam and follow the path up the hill. The playground sits at the top of the hill with a great view of the reservoir. It also has a great breeze, which I was very thankful for on the hot day we visited. 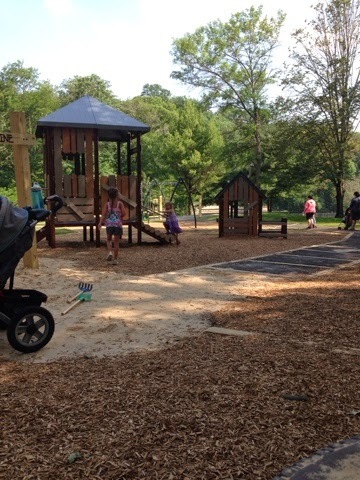 The playground is mostly shaded, another huge bonus on a hot summer day.Acorn Hill has been a definite new favorite and one which I think will probably become one of our new regular hang outs this Fall. Watch out for Mud Day Saturday! I'm not sure if it's a regularly scheduled event, but if you go on a Saturday be sure to pack a change of clothing and towels just in case.